There are several ways to identify arrowheads you have found or purchased. Arrowhead guide books and the Internet are great resources for identifying your arrowheads according to their shape, their size and the place they were found. Once you have identified an arrowhead, it then will be easier to price the arrowhead based on the cost of similar arrowheads. You can also take your arrowheads to a professional to help you price or sell them. Compare your arrowheads to high-quality photographs of identified arrowheads in an arrowhead reference guide book. Purchase this book at a local bookstore or borrow it from a library. Identify your arrowheads using a basic Web search then choosing an Internet website that has a gallery of arrowhead photographs. 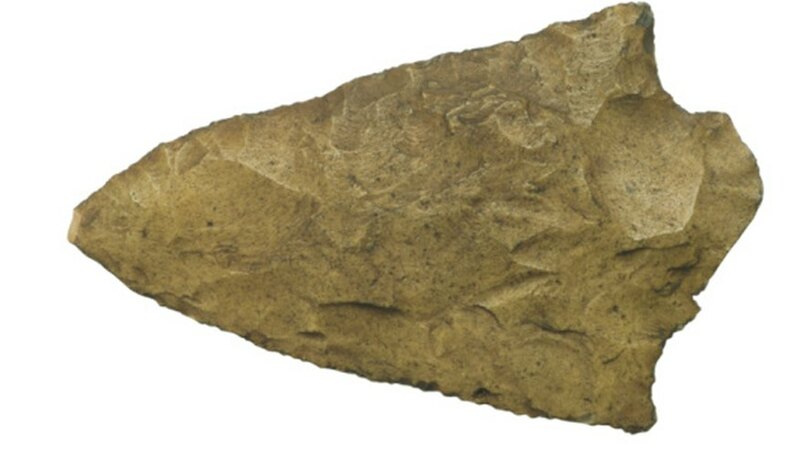 The U.S. Projectile Point Identification website is a good resource for identifying your arrowheads based on their shape and where they were found. You also may be able to identify your arrowheads using the website's national, regional and state searches. Estimate how much your arrowhead may be worth by using a book such as the "Official Overstreet Indian Arrowhead Identification and Price Guide." This book includes regional market reports to help price your arrowheads. Many arrowheads can look similar. It is a good idea to take your arrowhead collection to a professional to help identify and price your arrowheads. projectilepoints.net: Archaeological Societies of the U.S.
Catherine Jones has been writing and editing since 2006. She writes on topics relating to popular culture, sports, teaching, and English studies. She began teaching college level English in 2008. Jones holds a Master of Arts degree in English in addition to degrees in business administration and art.